When it comes to retaining top talent, it's important to understand the true drivers behind why high performing and satisfied employees ultimately decide to go another direction. In the modern HR world, many would say that optimizing employee engagement is the way to go, when in reality, the research shows there are more important things we should be looking at to retain top performers. The table below shows the top traits responsible for keeping employees at their jobs the longest. Turnover Predictors Based on Meta Study from Rubenstein et al 2018. First, you’ll notice employee engagement is on the far right. 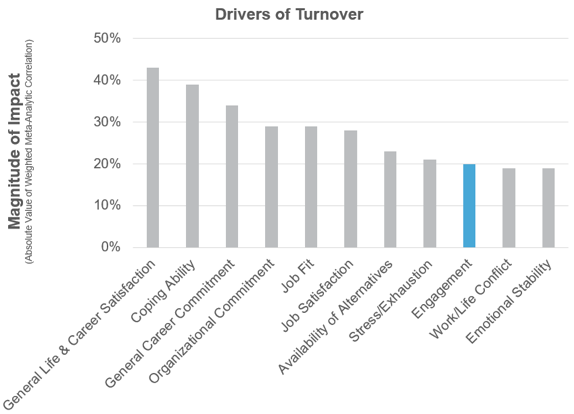 As mentioned previously, there are many factors that influence turnover more than employee engagement. 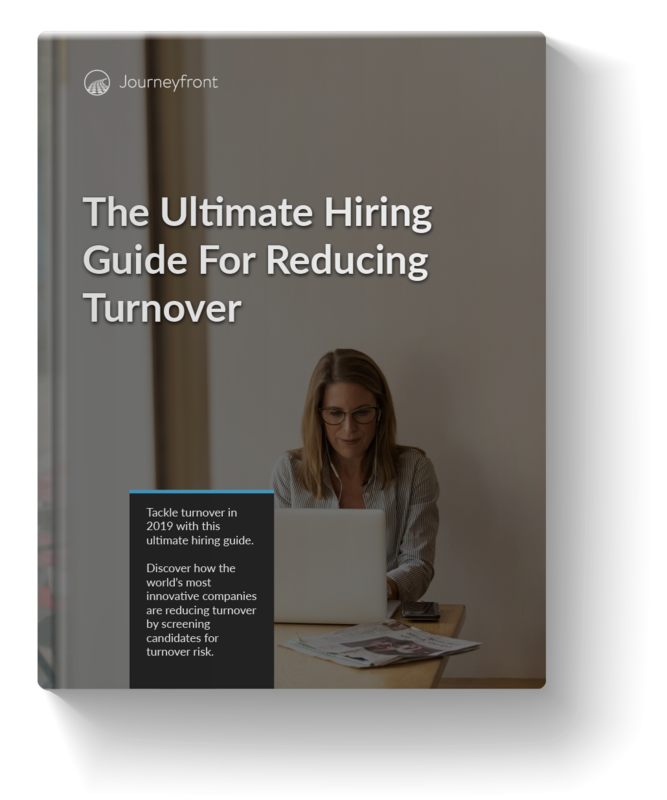 Second, you’ll notice that the majority of the turnover predictors listed are related to the person, or at least, person-job fit, not the job itself. In other words, these are things that can be screened for before a hiring decision is made. The ability to screen candidates for the above criteria can have a large impact in your efforts to reduce turnover at your company. 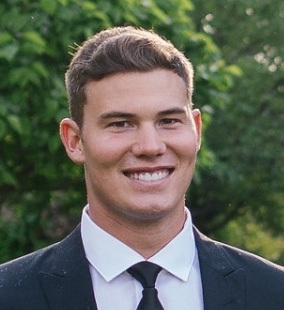 Of course, every company and position is unique so you’ll want to customize your approach, but the above criteria can be a great place to start. 1. General Life & Career Satisfaction: The degree to which an individual likes other aspects relevant to employment, such as his or her career career or life in general. 2. Coping Ability: An individual’s abilities to manage internal and external demands that are perceived as exceeding available resources. 3. General Career Commitment: The degree to which an individual experiences loyalty to targets other than the organization, such as his or her occupation or career. 4. Organizational Commitment: The degree to which an individual experiences loyalty to the organization and desires to stay. Includes all three facets of organizational commitment: affective (a desire to stay), normative (an obligation to stay), and continuance (a need to stay) commitment (Meyer & Allen, 1991). 5. Job Fit: Compatibility between an individual and a work environment that occurs when their characteristics are well matched. 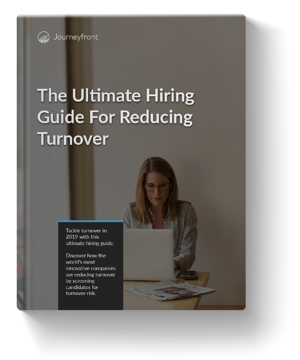 Most of the turnover predictors can be screened for before actually hiring an employee! This is great news for anyone trying to reduce turnover in their organization. Now that you know the top attribute of candidates that stay in a job, the next step is to start screening for those attributes. Check out our post title "5 Interview Questions Guaranteed to Reduce Turnover" to learn more about how to screen for these traits in your interviews.